The abandoned Rispin Mansion, originally built in 1922 by a real-estate baron, is the centerpiece for many local legends and ghost stories. Once grand, it has been burned, graffitied, and left to fall to ruin. Went with my cousin and our wife’s to check out the location and attempt to document what we’ve found. The place had a different vibe, one you could tell with a lot of history. We didn’t see anything or even hear anything, we searched the perimeter of the building and ventured inside taking photos. 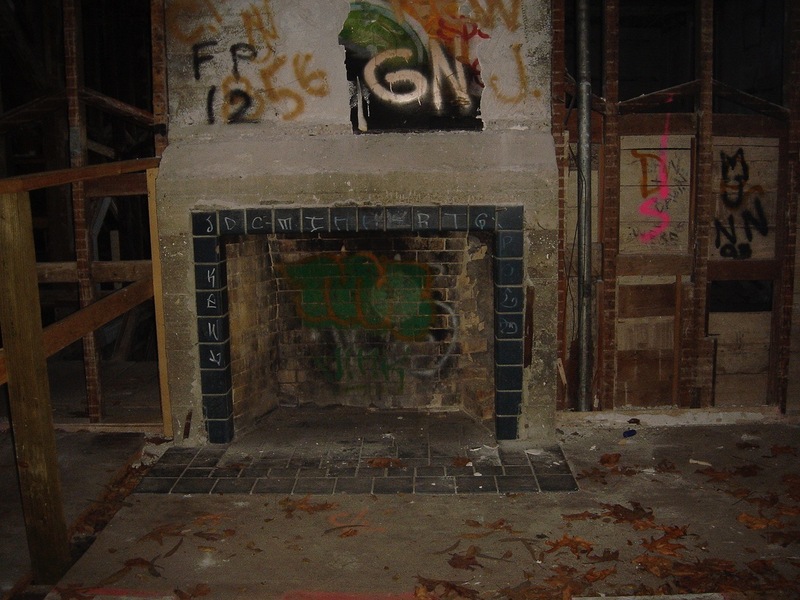 The only evidence captured was of an orb captured inside the fireplace. Sadly orbs and abandoned buildings aren’t that rare, but they are often tied to paranormal, However; mostly with dusty areas the light from the flash of the camera can enhance in the photo thus creating what looks like a paranormal encounter. This particular picture is an amazing picture!